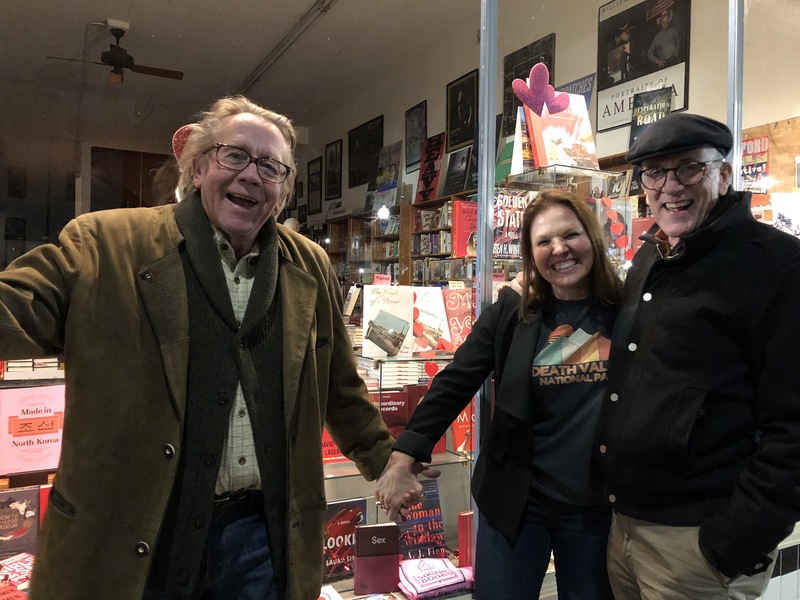 Oxford, Mississippi is a true gem, “the cultural mecca of the South.” We stopped at the home of Richard and Lisa Howorth, owners of the renowned Square Books, where we’ll spend the night. I can already tell I want to be friends with them forever. (Gary and Richard and I were feeling the love for The Weight of a Piano in store’s Valentine’s Day-themed window display!) Over lunch at Proud Larry’s, I learned about Oxford’s literary history, including the fact that theirs is the only town square in the south with four bookstores. After signing several hundred books for their Signed First Editions Book club—that makes a total of six stores who chose the novel for that honor—we went to Off-Square Books to record the The Thacker Mountain Radio Hour. It’s a weekly live radio show hosted by the fabulous Jim Dees and featuring author readings and musical performances. 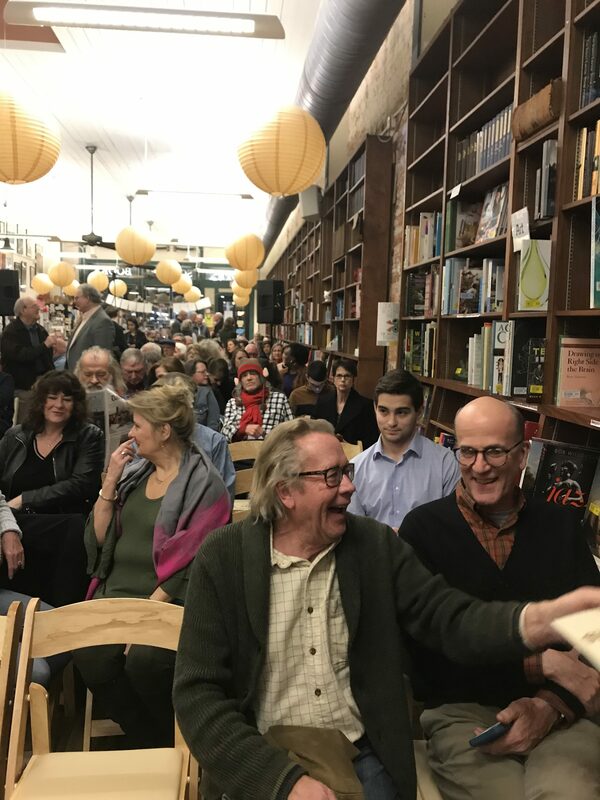 We’d arranged ahead of time to pair me with an amazing young pianist named Price Walden, who performed two pieces from the novel so beautifully the standing room only crowd was dazzled. Tonight’s episode will be broadcast on Mississippi Public Broadcasting on Saturday, February 2 at 7:00 PM. We capped the evening with dinner and drinks at City Grocery, where the manager, Lenny Moon, slipped me their recipe for shrimp and grits. I’d love to share it with you, but I promised I’d keep it secret. When the tour is over, I’ll make a big batch for anyone who wants to try it!